At our 2019 AGM various names were put forward in general discussion at the meeting. Following some debate, with proposers and seconders, it was agreed that this year’s inductees would be Honey Lantree and Dave Adams. Honey Lantree, the drummer (and sometimes singer) in The Honeycombs, died on Dec. 23 2018. 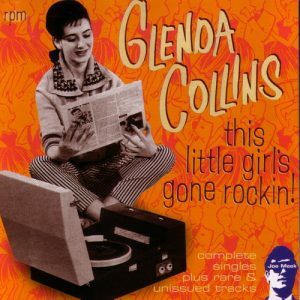 She was one of very few female drummers in the early days of rock ‘n’ roll. 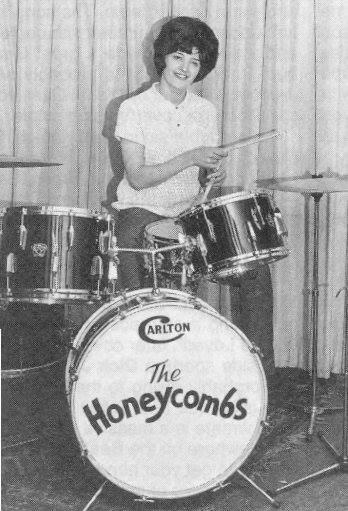 The Honeycombs hit number one in 1964 with “Have I the Right”and Honey became the most well-known female drummer in the world thanks to the touring and film and television appearances that followed. 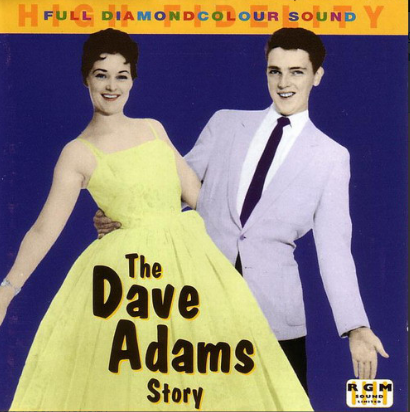 Dave began working with Joe Meek in 1958 and continued to work with him until Meek’s death in 1967 In the early 1960s, he helped build up Meek’s studio. He recorded singles with him under various pseudonyms and wrote songs for him. At our 2018 AGM various names were put forward in general discussion at the meeting, with Patrick Pink, Michael Cox, Houston Wells, Alan Caddy, Dave Adams, Ritchie Blackmore and Mick Underwood, (both of The Outlaws), Mick Stubbs (The Blue Rondos) and Screaming Lord Sutch all nominated. Following some debate, with proposers and seconders, it was agreed that the inductees would be Patrick Pink and Screaming Lord Sutch. 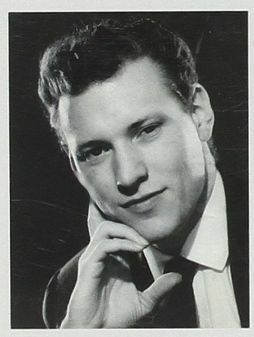 Patrick Pink, who started work at 304 Holloway Road in 1962 as an office boy and became Joe Meek’s loyal assistant until the end, died in May 2018. 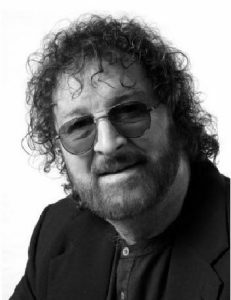 He changed his name by deed poll in 1973 to Robbie Duke – this being one of Joe Meek’s pseudonyms. 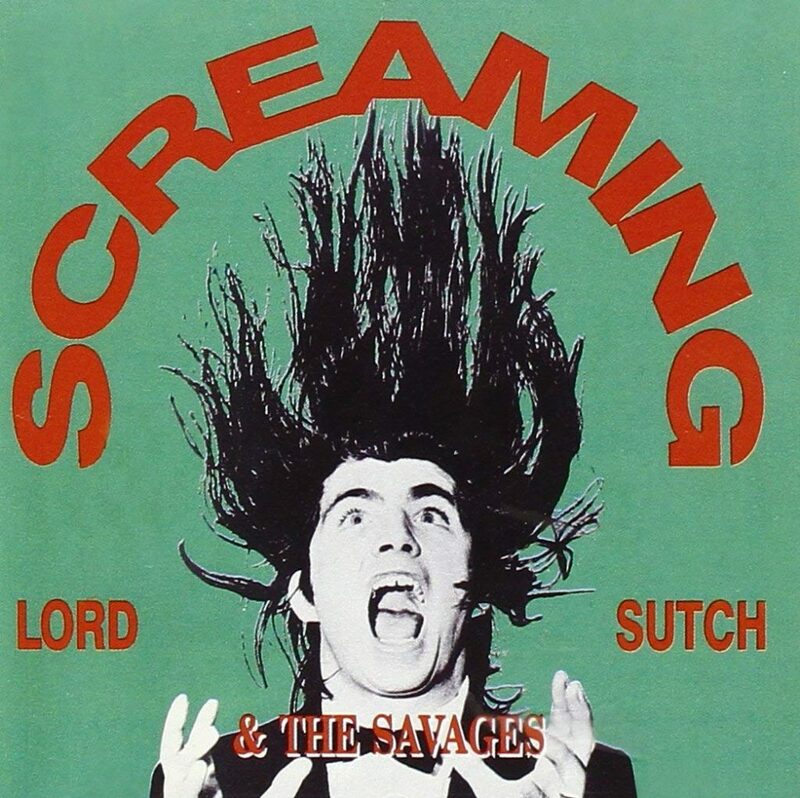 Screaming Lord Sutch (with his band, the Savages) was a Joe Meek-produced singer and songwriter. His approach to music, similar to that of Screamin’ Jay Hawkins, was based on elaborate costumes. He died in 1999. 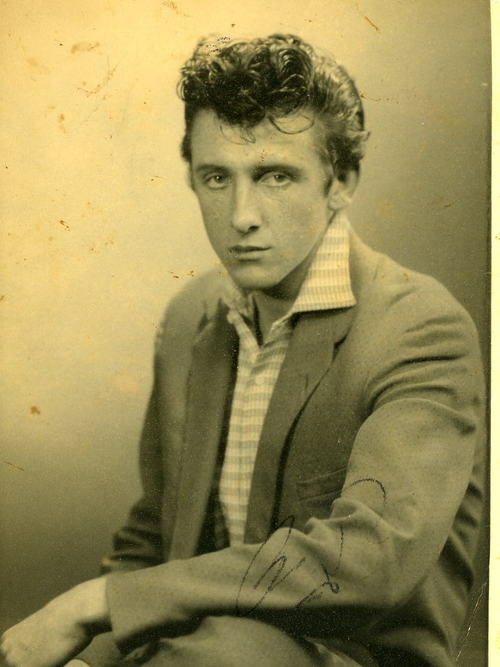 Malcom Lenny left – Malcolm made 3 singles for Joe Meek with his band The Packabeats. Their track, The Traitors was chosen to accompany the opening credits of the film Telstar. Charles Blackwell started with Joe at the age of 19 as his music director and arranger. His arrangements include Joe’s skiffle classic, “Sizzlin’ Hot” and number 1 hits like “Johnny Remember Me” and “Tribute To Buddy Holly”. There were three nominations this year: Charles Blackwell, Mike Berry and Danny Rivers. After some interesting discussion / debate at our AGM…..those members present had to vote. The outcome was that two of Joe’s finest RGM singers Mike Berry and Danny Rivers were duly elected to the Hall of Fame. 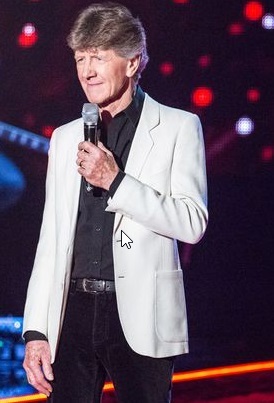 Mike was on the Voice earlier this year and he will be touring the UK with Marty Wilde in the Autumn. The news on Danny is sadly, not so good. We learned from our friends at Tales From The Woods (and Colin Pryce Jones) that Danny is seriously ill with cancer. none of which appeared in the UK Singles Chart. 304, some with the Impac (unissued and / or lost) as well as general sessions, some undocumented. 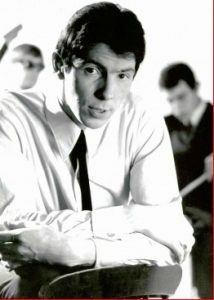 Chas became the major session bass player at Joe Meek’s famous home studio, with the Outlaws practically becoming Meek’s ‘house band’.Chas played on numerous hits such as ‘Tribute to Buddy Holly’, with Mike Berry, ‘Johnny Remember me’ with John Leyton, and ‘Just Like Eddie’ with Heinz. (Along with the new Outlaw member, Ritchie Blackmore). Martin is first on left. Rhythm Guitar & Founder Member of the Original Honeycombs. 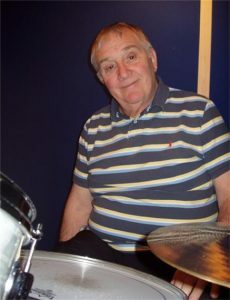 Martin formed The Sheratons – featuring Honey Lantree, the first ever known world-wide female rock drummer.Having been fortunate enough to meet with legendary producer Joe Meek, Martin introduced him to his brilliant female drummer and new female vocalist Gerri Harlow. An audition soon followed. 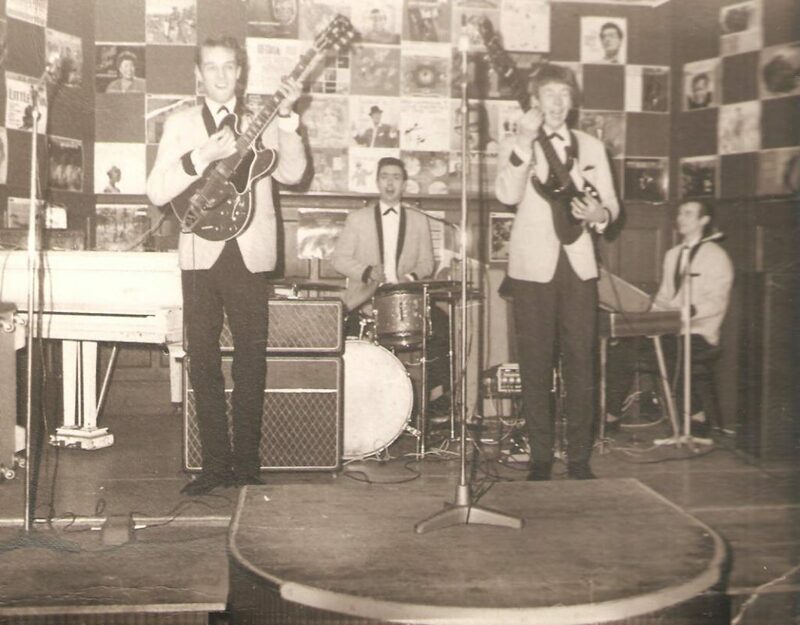 The group which was to become known as The Honeycombs was signed on the spot, and the rest is rock’n’roll history! Ray Dexter’s love of music started when his Mum used to call him in from the garden by shouting “It’s on!”. What she meant was that the Warsaw Concerto was being played on the radio. “I was inside like a shot, I was only about 5 or 6 at the time, but I simply loved that piece of music”. When Ray was 8 he used to get up on stage with his Dad’s band, the Hillbillies and sing “You are my Sunshine”. Thirteen years later he started going up to London and bought his pride and joy guitar at the time, the Hofner President. Straight away Ray took it into the famous 2i’s coffee bar and sat in the front row (Tommy Steele and Cliff Richard started there). Jet Harris (later to become The Shadows bass player) was at the 2i’s as a talent scout. After singing one song backed by The Worried Men, Jet signed Ray up for Kent Walton’s “Cool for Cats Roadshow”. Appearances at all the big West End night clubs followed. “I remember playing Winstons with my band The Dynamoes one night and in the audience were Michael Megwin (film actor), Stubby Kaye (American musical star) and Elmer Cogan (recording artist), it felt great singing to them”. After this Ray signed to Izzy Bon and did a tour of US airbases. Izzy then booked Ray and his group to do the BBC television show Caravan. It was live show and unfortunately was never recorded. Ray then auditioned for the famous Arthur Lowe agency, they made a few recordings of his songs, they were then sent to Les Conn of Melcher Music, who offered him a publishing contract for the songs. Les then fixed a recording session. The session was successful and Ray suggested that the tapes be passed on to the now legendary producer Joe Meek. Joe not only liked Ray’s sound , but he thought he was a good songwriter too. Ray was about to be signed up to RGM Sound. A session was soon booked, and Joe asked Ray to write something. “I came up with the song “Lonely Weekend” which I wrote very quickly on the Green Line bus from Hoddesdon to Holloway Road. I was hoping this would be the ‘A side’ of my first single, following favourable reports from a number of other people, including the musicians in the studio. Joe had other ideas. Joe decided to relegate it to the ‘B side’, insisting on promoting “The Coalmens Lament” instead as the A side” Dave Kaye (real name David Knowles) was born in Mancot, Queensferry, North Wales in 1941 and then moved to Swansea where Dave’s dad was a Station Master at a place called Dunvant. At the age of five, his family moved to Ripley in Derbyshire. Dave has lived in this County ever since. In the early days, Dave’s idol was Pat Boone, although he has forever been associated with Elvis. 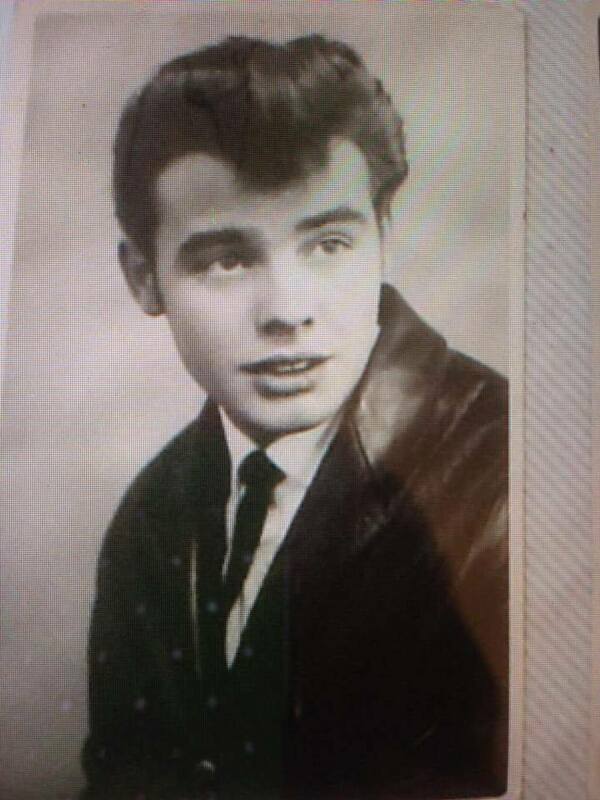 In his early days, Dave became a lorry driver. He auditioned to join the Echoes (the original Dykons) and was chosen to become their lead singer and the name was changed to Dave Kaye and the Dykons.He soon became known locally as an Elvis sound alike and was spotted by Albert Hand who at the time was running the Elvis Presley Appreciation Society and had written a book about Elvis but also had a publishing Company that produced and printed Elvis Monthly, Pop Weekly, Teenbeat, and Swap Shop. Albert and his wife, Phyllis, were no strangers to the big music celebs and many visited his music shop “Heanor Record Centre” in Heanor, Derbyshire.After hearing Dave sing locally he approached Dave and in a very broad Derbyshire accent said “Heh up youth, tha sounds just like Elvis”. Albert was very impressed in Dave’s singing and along with a friend of Albert’s, Dave Cardwell, they suggested that Dave should audition for record producer, Joe Meek. Dave, along with Dykon guitarist, Keith Staley, Albert Hand and Dave Cardwell, arranged a meeting at Joe Meek’s Holloway Road Studio. I asked Dave what he sang but he could’nt remember if it was Bachelor Boy or Living Doll but said it was a Cliff Richard number. Having heard Dave, Joe was equally impressed and suggested that Dave record an Elvis number one, from 1959, ‘A Fool Such As I’. 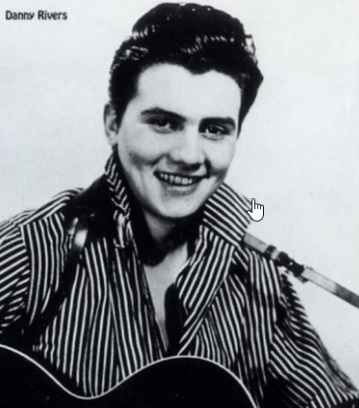 In 1958 Bobby formed his first band, naming them Bobby Criso and Rebels and in a short time they were recording for Joe Meek on the Decca Label. 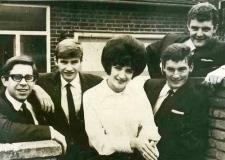 In 1963 the band, now known as Bobby Rio and the Rebels, worked with Joe Meek again, this time on the Pye Label, recording Value for Love, Everything in the garden and Boy Meets Girl. This early success was the foundation for a long and varied career. Born in Kidderminster Worcestershire Roger Jackson as he was born came to London to seek out Joe Meek to attain fame. 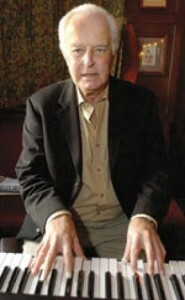 Roger did eventually find Joe Meek at his studio in The Holloway Road North London,and offer his services as a Keyboard player. He got the Job replacing the brief member “Norman Hale”. Working for Joe Meek in the early 1960s, Geoff wrote songs for Heinz, Mike Berry, Gerry Temple, The Tornados, Kenny Hollywood, The Outlaws, Freddie Starr, Screaming Lord Sutch, The Ramblers and John Leyton. His song for Leyton, “Johnny Remember Me”, reached number 1 in the UK Singles Chart. ]By the mid-1960s he had fallen out with Meek. Disillusioned with the music industry, he withdrew from it to work in catering. He died from a heart attack in May 2000, at the age of 62. 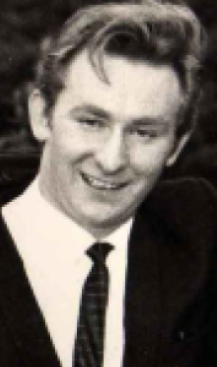 Heinz was a member of the Tornados, With Meek in love with Heinz, he struggled to launch him on a solo career. 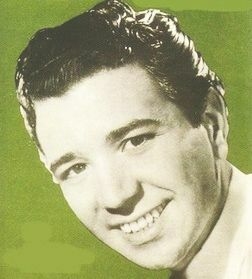 Following a well-received tour with Billy J. Kramer and the Dakotas and Bobby Rydell, Heinz was seen as belonging to an era of rock and roll as the more modern Merseybeat became more popular. A move from the Decca label to EMI saw him gain a minor hit with “Diggin’ My Potatoes” Differences of a professional and personal level with Meek appeared and with Heinz introducing his girlfriend to Meek their relationship faltered. 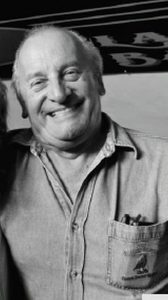 Clem Cattini was the drummer for The Tornados and went on to be one of the most prolific session drummers in the UK. He is featured on countless singles and no less than 44 number ones by a range of artists. In the 1990’s he reactivated The Tornados. 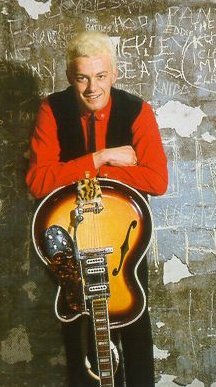 John Leyton started his career as an actor but later auditioned for Joe Meek – his third single Johnny Remember Me going to number one. 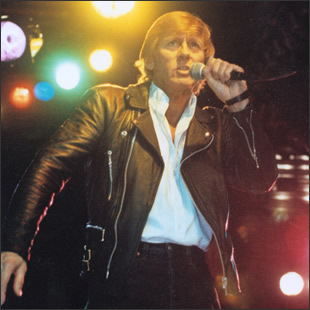 Although his association with Joe Meek ended in 1964 and John made some big films – like The Great Escape- he seriously revived his singing career in the early 1990s.